Building bird-friendly habitat in southeast Baltimore. Meet at the wetland garden, just uphill from the Boat Lake in Patterson Park, or the pollinator garden, just west of the Boat Lake. Spot on map is approximate. Email baltimore@audubon.org for directions or questions. 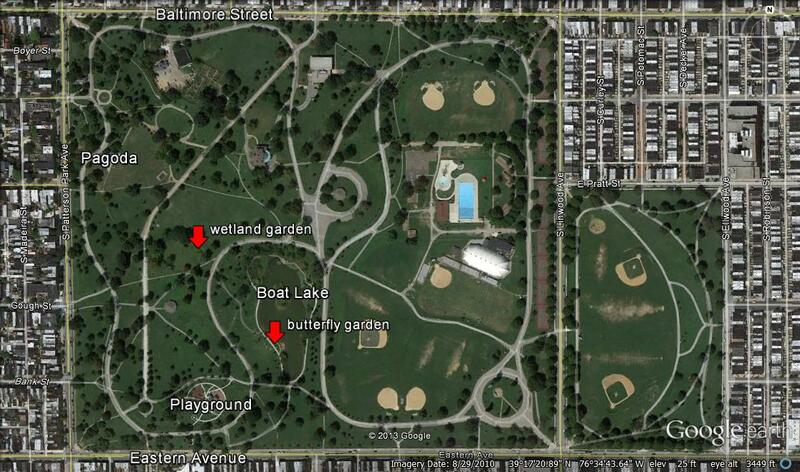 We are building bird habitat in Patterson Park and need your help! These native gardens provide food and homes for the park's wildlife, and learning spaces for students. Enjoy a morning outdoors with family and friends while planting, mulching, pruning, and weeding the gardens. Tools, gloves, water, and snacks provided. Service hours awarded to helpful students. No need to register. Meet at the wetland garden, uphill from the Boat Lake, or the pollinator garden, just west of the Boat Lake.